With the month of May already packed with price-to-collect DVD and Blu-ray product offerings, Mill Creek Entertainment has still found room for more! How about the complete mini-series of filmmaker Steve Boyum’s The Lady Musketeer on DVD on May 1 for an SRO of just $14.98 for starters? This action series has Michael York reprising his role as D'Artagnan (The Three Musketeers and The Four Musketeers), only not as a swordsman, but as the mentor and teacher to his daughter, Valentine (played by Susie Amy). 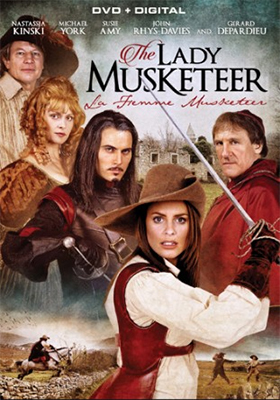 No woman has ever been a member of the King’s Musketeers, but that is about to change as Valentine, with her father’s blessing, head’s off to Paris in service to King Louis XIV (Freddie Sayers), who is locked in titanic battle with Cardinal Mazarin (Gérard Depardieu) over the fate of France. To prove her worth, she teams with the sons of Aramis, Athos and Porthos to rescue the would-be bride of the king … there will be no quarter, succeed in the mission or die! 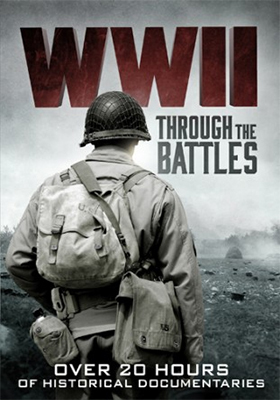 Mini-Series? Adventure? Priced-to-collect? Mill Creek Entertainment has read your mind. Also available on May 1 is director Michael Barker’s 2009 mega-budget mini-series adaptation of Jack London’s The Sea Wolf. 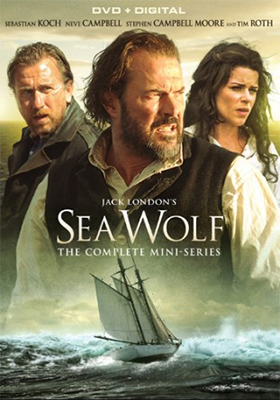 Humphrey (Stephen Campbell Moore) is out of the fire and into the frying pan — so to speak — when he is rescued by Wolf Larsen (Sebastian Koch) and the crew of The Sea Wolf. It’s 1902, San Francisco (before the earthquake) and the hardened sailors of the infamous Barbary Coast sail with Wolf Larsen, a cruel captain — they are bound for the riches of the great northwest when Humphrey is rescued at sea and he will earn his keep on this voyage … no two ways about it. Wolf’s biggest competitor is his brother, Death Larsen (Tim Roth), who shadows Wolf as captain of the Macedonia. Aboard his ship is a mysterious beauty by the name of Maude (Neve Campbell), who claims to be a writer, but that’s just a cover. Brother against brother on high seas, with Humphrey along for the ride!